“She met this girl almost seven years ago, a fourth generation and descendant of Japanese diaspora, of whom their relatives were from Malabon and Marilao. And the story was this, sometime in March in 1899, people, men, women and children were shooed, from Malabon and Polo, going north panicky. Thatched roof house were torched to ashes. 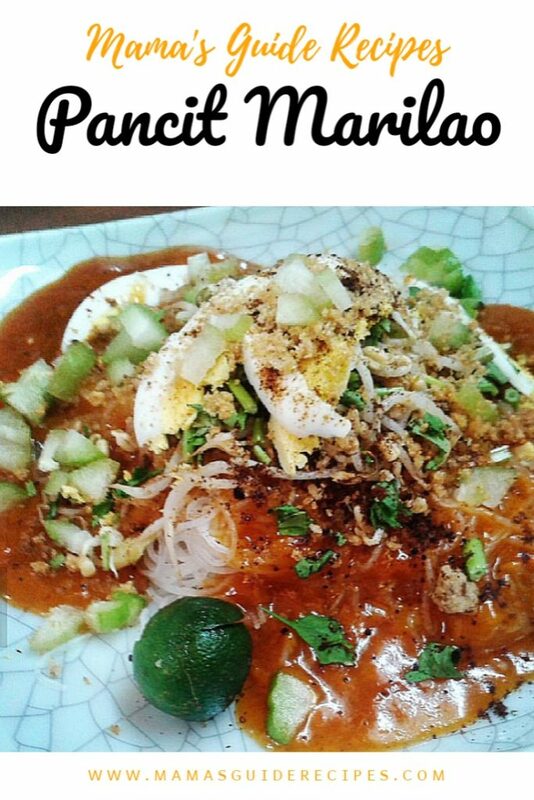 Cutting to the chase, it was the reason why Marilao inherited two original filipino recipe, the famous putoğ pulo became puto popular and the palabok what was also known as pancit malabon became pancit marilaw. Until now, you can have the original luglug recipe at Pansitan ni Aling Simeona at #74 San Miguel St. Marilao, Bulacan and was recognized by the Government of Bulacan for her contribution to its history and food delicacies. In Metro Manila, Pancit Center restaurant in Kapitolyo, Pasig also has Pancit Marilao in their menu list. This realization of history about our native delicacies is such an enriching experience. It is an echo of our past and rich heritage that we can pass on to our next generation. So let’s go ahead and cook this famous pancit in Marilao! Cook the sauce by heating a saucepan. Add the cornstarch slurry while stirring. Add the fish sauce and ground black pepper then simmer until sauce becomes thick. Set aside. In a pot of water, cook the bihon noodles in boiling water and simmer for about 8 minutes or until cooked. Drain from water and transfer into a serving plate. Pour in the palabok sauce on top of pancit bihon. 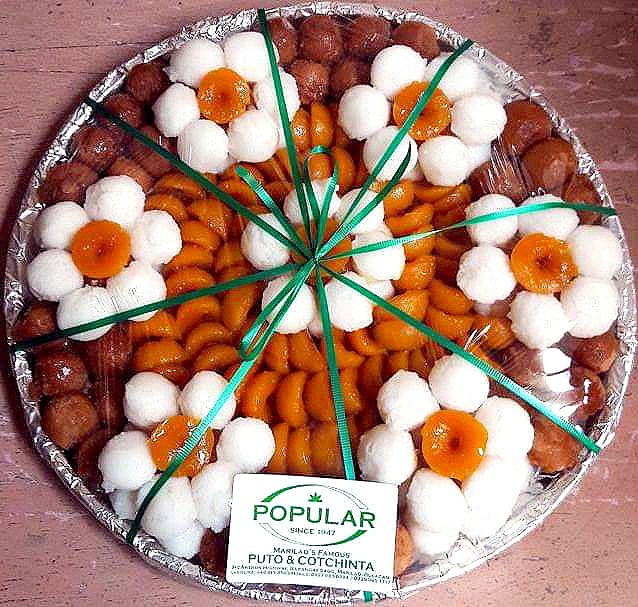 Top it with tinapa flakes, grated okoy (kinaskas or hinimay), slices of kamias and sliced boiled eggs. Add some toasted garlic and garnish with chopped kinchay and ground pepper. Share and enjoy!